The happiest and coolest Kid drummer EVER! 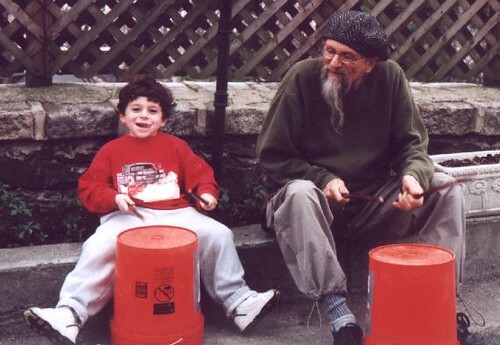 This has to be the happiest and coolest picture of a kid bucket drummer ever. 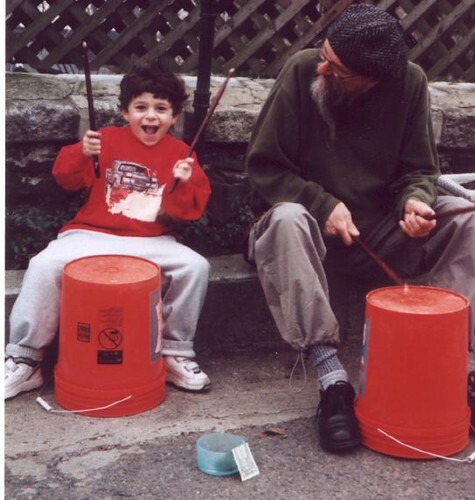 As you look at this young street drummer smile and having a good time don't you wish you were a kid again? Street drumming puts a smile on a lot of peoples faces everyday around the world. Pictures from: Two itinerate street musicians trying to make a few bucks! Thanks to Stan Lunetta for the pics.